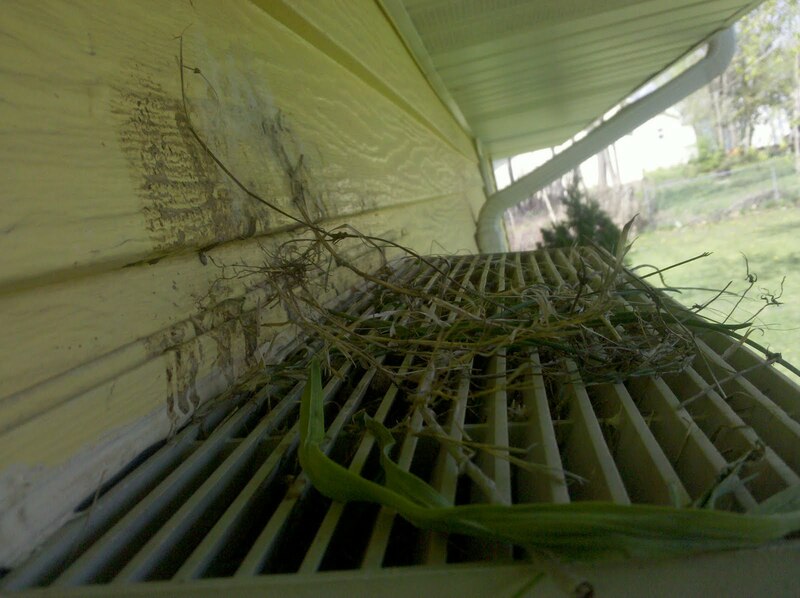 Spring is here, and with the trend towards warmer weather comes the tendency for birds to use my wall unit air conditioner as a roost on which to build their nest. I had a look around earlier this morning and found a pair of mourning doves fornicating on the air conditioner. Once they left, I took the picture below.